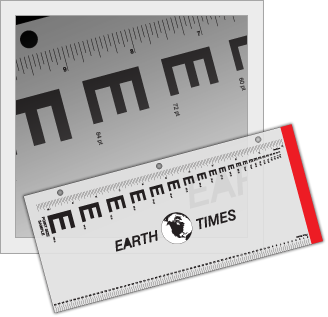 This ruler incorporates type size examples and scales and is used to measure print size. The graduated sized of the letter E visually demonstrates a vast range of type sizes. The ruler can be three-hole punched to fit in a notebook. Custom scales can be used as well. 11.5" x 5" x .030"